A very happy Diwali to Jhansi! 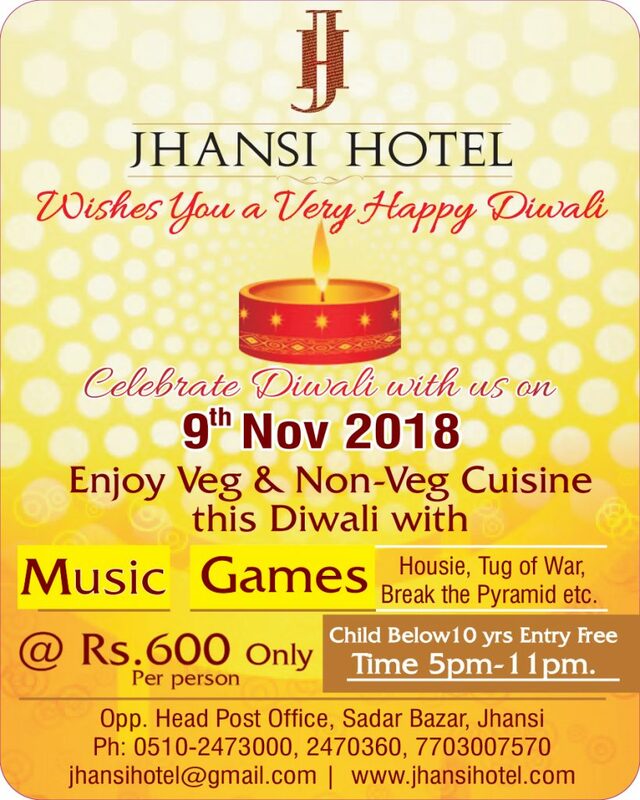 Come, let’s celebrate Diwali with Jhansi Hotel on 9th November 2018 from 5 to 11PM. Enjoy Vegetarian and non-vegetarian cuisine only paired with exciting games and loads of fun! Entry for children below the age of 10 is FREE. Limited tickets available! Call the front desk at 0510-2473000, 2470360, 7703007570.